I had a chance to try Oxbow Farmhouse Pale on draft at Lions Pride a few weeks ago, and I thoroughly enjoyed it. The brewery is about 30 minutes from Brunswick, so after lunch this past weekend, and in honor of Maine Beer Week, I decided to pop over for a tour, and to pick up a growler. You can find their website here. They are now filling growlers on Friday afternoons, so if you want to pop in, check out their brewery, and pick up some beer, that would be a good time. 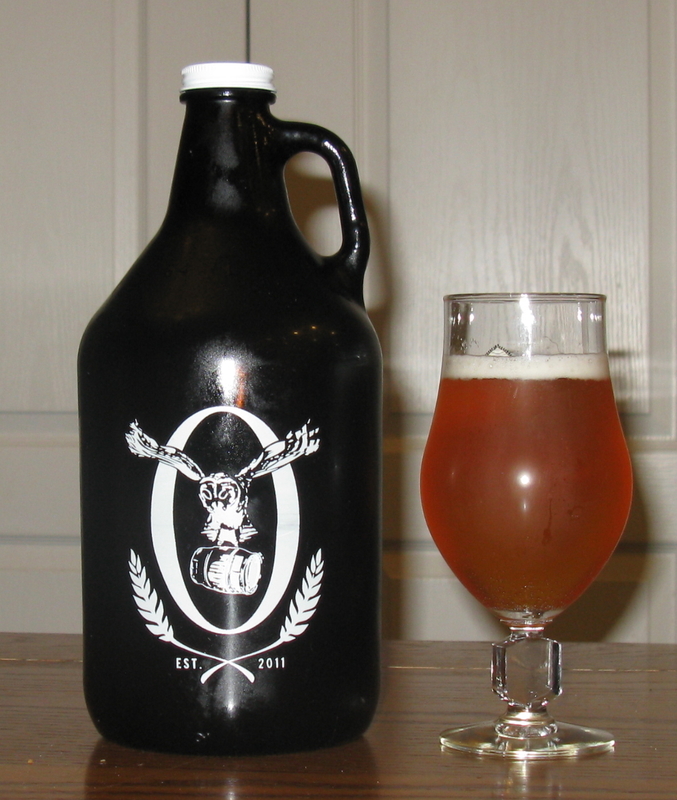 Color — Faint orange hue , good carbonation out of the growler, which hangs on and laces down the glass. Aroma — Citrus and piney notes of American Hops, but there is a marked fruitiness, mango/pineapple, that I associate with Saison yeast strains. You can also smell that spicy bite in the back, pepper and cloves, but it is not dominating. This has a very complex aroma. Taste — Some fruit at first, again tropical like pineapple, and then you get this intense, dry, hoppy bite, more pine then citrus. The mouthfeel is quite light, and this finishes very dry, which accents a long hoppy aftertaste. Critique — Well, this is a pretty nice Saison, bone dry, plenty of hops, and not over the top on the ABV. Very quaff-able, yet there is quite a bit going on in the glass. I have had a chance to try some of their others on draft at Lion’s Pride, the Oxtober fest and the Imperial American Saison. However, this, their Flagship beer, was my favorite, I think it is a nice riff on a great style of beer. I had a chance to chat with Tim Adams, one of the owners/brewers, and he let me sample some beer out of oak casks that they fermented in the casks with Brett B and Lacto. 5 months in, it was really very good. I look forward to more offerings from this brewery in the near future.